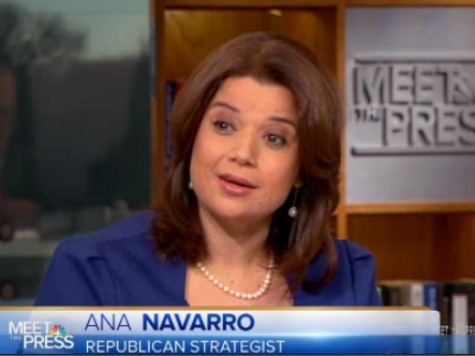 Ana Navarro, the establishment Republican pundit who endears herself to the mainstream press by bashing conservatives, said those who were preemptively blasting President Barack Obama for potential executive amnesty need to “shut up” now that Obama has decided to act after the midterm elections. The liberal Republican, who has a history of slamming and maligning conservatives to elevate her standing in the permanent political class, also tweeted that Obama’s potential executive amnesty would not be “amnesty” at all, even though it would prevent millions of illegal immigrants from being deported while giving them work permits, which they could use to get any job they wanted. On Saturday, Obama decided to delay his executive amnesty to help Senate Democrats keep control of the Senate. R’s who lobbed threats vs Obama re immig exec action, should shut-up now. But those ppl he made promises to, have a right to be angry. 2 choices re immig: R’s who make no big promises. D’s/Obama who do, but break them. Wedge issue used for political reasons for both parties.